At Whanganui River TOP 10 there are a wide range of choices of where you can pitch up your campervan, motorhome or tent. You chose between hard standing or grass, close to the playground or tucked away peacefully under the trees, all day sun or a more shady spot. Our friendly reception staff will be more than happy to help you choose the best spot for you. Our pitches have plenty of space so don't be afraid to bring your awning and your boat for that classic kiwi holiday. There's power at over 40 sites around the park and you are never far from fresh water. 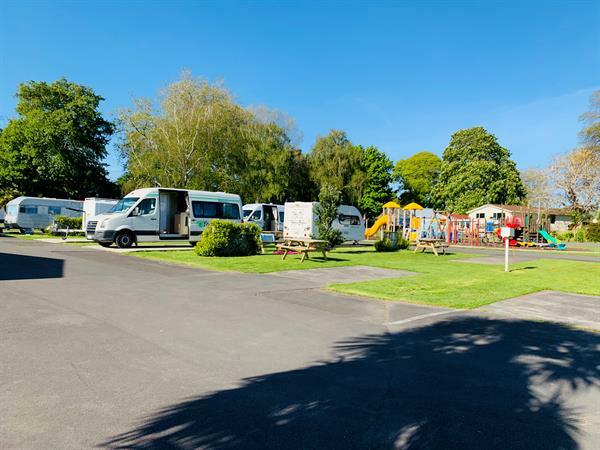 All our sites are within a short walk of our 4*plus communal facilities which you will find in the centre of the park and maintained to the highest standard of cleanliness. Picnic tables are available around the park.